I owned J.L. 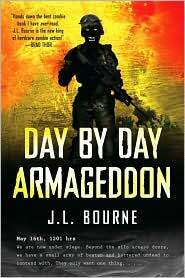 Bourne’s Day by Day Armageddon for quite a while before I read it. In addition to being a slow(ish) reader, I have a pile of books, a three shelf bookcase actually, of books waiting to be read, so sometimes books wait. After plowing through DBDA in March of this year, I picked up the sequel, Beyond Exile, which I just finished last night. Both of these books are excellent. Written in the style of a personal journal, we follow the story of an unnamed Naval Officer as he notes his thoughts and experiences in a world quickly becoming overrun by zombies. Personally, I thought the journal style worked very well, the only drawback being that since things are always written after the fact, you know that no matter what is being written about the author has to survive or else he wouldn’t have written it down. This journal style, however, is also one of the complaints many people have about the books, so you have to know about it going in. They claim things like “I just read a guy’s personal diary and I didn’t learn anything about them.” I have to wonder if they’ve ever read anyone’s personal journals that weren’t fictionalized. Most journals, especially those started by men later in life (not as kids) tend more toward facts and what happened, and are not full of emotions and internal dialog about how they feel. Think of it less as a diary and more of an After Action Report by a military officer and it’ll probably work better for you. Another common complaint on zombie stories is they seem to have a “right wing slant”. And while these critics might have a point, when flesh eating zombies spring up, who is more likely to have a gun ready to shoot them in the head, an NRA member with a right leaning political view or a liberal gun control supporter? Similarly, why are the survivors always military or people with training? I think that’s a question that answers itself. 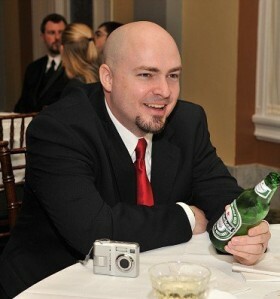 I mean, I go to Dragon*Con every year, and when I go to panels about apocalyptic themes I know every person in that room thinks they are going to be victorious if the zeds should ever start walking, but realistically most of them wouldn’t last a week, and probably not more than a day. Anyway… back to the tales at hand. I found both stories to be very entertaining and engaging. I especially enjoyed the use of slower shambling zombies and opposed to having them all running and jumping and stuff. I highly recommend both books, and I believe there will be a third next year. The second book takes a turn at the end that I’m interested to see where J.L. Bourne goes with it.